The PTPCC-200D Deluxe Ultra Comfort Perimeter Dog Fence Containment Systems are made in the USA and offer the exclusive comfort contacts feature that cushions your dog's neck. The perimeter dog fence collar receiver has soft rubber contacts, unlike steel probes used by other dog fence containment, that cushion your dog's neck. That's why Perimeter Dog Fence has Ultra Comfort in the product name. The PTPCC-200D Deluxe Ultra Comfort perimeter dog fence keeps your dog safely in a controlled area with a more gentle touch than other dog containment systems. Veterinarians also prefer Perimeter Dog Fence because of the comfort contacts that help reduce the incidence of skin irritations. The PTPCC-200D Deluxe Ultra Comfort Perimeter Dog Fence Ultra Comfort Contact containment system gives you the flexibility of changing the frequency. With the Perimeter dog fence Ultra Comfort Contact containment system not only do you have the ability to change frequencies you also have the ability to change stimulation settings to achieve a custom range of correction options to fit your dog's specific tempermant. In fact, each dog's collar can be programmed to provide only the necessary correction level to be effective. Made and Designed in USA! What is the difference between the 3 Perimeter Dog Fence Containment Systems? Maximum Coverage Area: Perimeter dog fence will cover area upto 5 acres or 5000' of wire. Patented Temp Check™: Perimeter dog fence systems feature internal circuitry which provides stable operation over a broad range of temperatures. Competitive brands signal field width can vary up to 100% from 40 to 90 degrees Fahrenheit. What does that mean? A Perimeter dog fence set to have a field width of 8 ft. will have a maximum variation in field width of 5% (less than 5”) while a competitive system can have a variance of up to 100% either way for cold or warm environments. In other words, other systems potentially could have no signal field in cold environments or twice the field width in hot environments. This could mean your dog fence system may not be able to contain your dog due to limit field width or could correct your dog inside the safety of your home. Patented Battery Check™: Only Perimeter dog fence systems monitor the status of your battery every 2 hours to ensure you know when your perimeter dog fence needs a new battery. Other brands offer low battery indication however it only lets you know when the battery dips below a certain output level. The chemical composition of a battery fluctuates over a variety of different operating conditions which could potentially signal a false low battery indication. Perimeter® brand systems save you time and money by requiring 3 consecutive low battery triggers to set off the low battery indication. Why not keep your dog safe at home without spending extra money on unnecessary battery changes. Polycarbonate Collar Receivers: Polycarbonate plastic is a lightweight, high performance plastic which possesses a unique balance of toughness and dimensional stability. Perimeter dog fence collars use polycarbonate plastic to make them resistant to damage from dog chews. Polycarbonate is frequently used in situations where safety and performance are a must such as external jet aircraft parts, the space shuttle and many military applications. Why trust the safety of your dog to anything less? Waterproof Collar Receivers: The craftsmanship that goes into every Perimeter dog fence is so good they offer the only battery replaceable waterproof collar receiver on the market. Perimeter dog collar receivers will continue to function without issue when completely submerged in water. Have a pool, pond or take your dog to the lake? Take your Perimeter dog fence with you. Replaceable Lithium Ion Battery Technology: Lithium Ion technology offers 3 times the gravimetric density of nickel metal hydride technology which provides lighter batteries with increased run times. Replacing batteries not only provides the ability to instantly renew the collars power supply should you forget to recharge it also provides a consistent duration for battery life as opposed to the diminishing lifespan of a rechargeable cell. 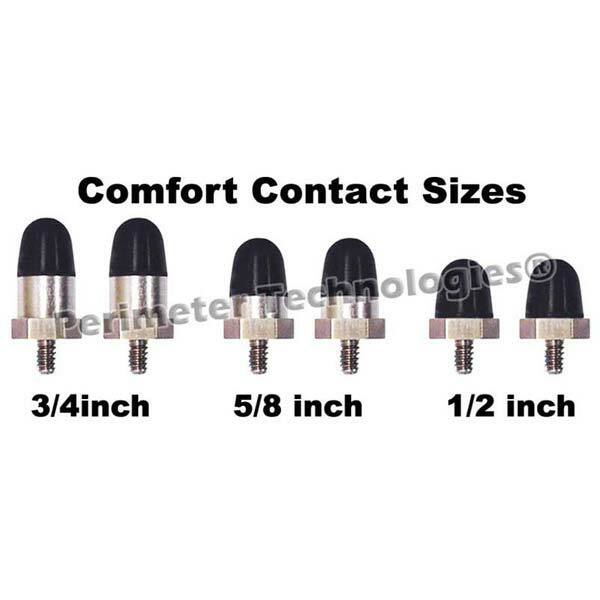 Most Humane Contact Points: Comfort Contacts™ by Perimeter offer the most comfortable solution to create contact with your dog. Conductive metal infused rubber provides significant protection against pressure necrosis, a condition which occurs when a dog either has a negative skin reaction to metal touching their skin or the collar is left on for a prolonged period of time. Soft conductive rubber contacts allow the contact to remain constant keeping your dog safe at home with utmost is comfort. Omni Directional Signal Detection: Many containment systems only detect signals coming in from one or two directions with one or two internal antennas. Perimeter dog fence systems offer the safety and peace of mind of three internal antennas detecting the boundary signal on three separate planes to provide the most effective signal detection available. Progressive Correction w/Run Through Prevention: Perimeter dog fence systems offer progressive correction which measures time and distance from the collar to the boundary wire. This feature allows the computer collar to know not only how far away it is from the boundary wire but how fast the collar, and subsequently the dog, is traveling. In a fraction of a second the collar can make the necessary adjustments in correction intensity to ensure your dog stays safe at home. Auto Safety Shut-off: Perimeter dog fence systems feature a built in safety mechanism to automatically shut off after 20 seconds of correction. This safety features ensures no unnecessary correction for dogs who may be in the boundary field and panic or for those crazy kids who think it might be fun to lay down in the containment field. Should this happen they will only have to endure 20 seconds of discomfort; hopefully enough for them to learn their lesson. The system will automatically reset following its removal from the field. Seamless Warning Tone (Anti-Linger): Perimeter dog fence systems avoid excessive battery drain from those dogs smart enough to sit in the warning area until the receiver battery is dead. Perimeter® software seamlessly moves your dog from a warning tone to a very low level of correction 1 second after entering the warning tone area to avoid premature battery drain as well as to help promote the seriousness of their boundary. Allowing your dog to spend excessive amounts of time in the warning tone area will condition them to not take the fence as seriously as they should. Additional time in the warning area will promote testing the fence more frequently causing shorter battery life. Custom Correction Programming (Ultra only): Perimeter dog fence is the only DIY system which offers the ability to control the stimulation settings for each dog on the system. This feature is crucial for single dog systems where the dog is older or more sensitive to electronic correction. Five programming options are available for each dog on the system. You may have a small timid dog which requires far less correction than your other large “bull-headed” dog. Perimeter® brand dog fence systems give you the ability to custom program each receiver to match the dog’s temperament. Should your dog fence administer the same correction to your timid dog just to keep a stronger willed dog in the yard? That doesn’t sound safe or humane? Lightning Protection: The PTPCC-200D Deluxe Ultra Comfort Perimeter Dog Fence Containment System has state of the art External Lightning Protector is specifically designed to protect your wall mounted transmitter from lightning strikes. In the event of a lightning strike an electrical surge travels down your boundary wire towards your house. The LP-4100 contains a fuse that will not allow this surge to pass, thus eliminating the surge. 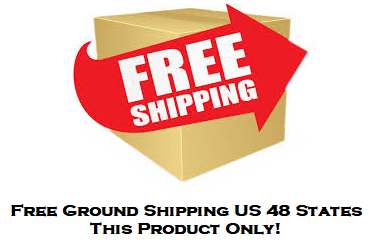 MOST IMPORTANT: Perimeter dog fence and products are designed and manufactured in the USA. Perimeter® Technologies is proud of our heritage as some of the original dog fence industry founders as well as our future as a domestic manufacturer of premium dog fence safety products. Why send your hard earned dollars overseas? Why trust the safety of your dog to anyone less than your fellow pet loving Americans? Why the Perimeter Dog Fence ULTRA System? First of all it is the Comfort and Safety of our Comfort Contacts. These high technology contacts provide your dog the Comfort they deserve and peace of mind for you. The Perimeter dog fence Ultra System is a great system to contain as many dogs as you own. The Ultra Systems allow you to change the frequency of your system. Adjacent systems will interfere and perhaps negate the ability of the system to contain your dog. ONLY the Perimeter Ultra Systems allow you to change the frequency to prevent this problem. ONLY the Perimeter Ultra systems allow you to custom program the correction levels for your dog, or dogs. This is a needed feature if you have more than one dog. It is also a great feature to allow you to modify the correction levels as your dog ages and mayures. This system comes with 500 ft of 20 gauge wire. If you live in rocky terrain or high traffic areas or are planning to install your system above ground consider our Plus Systems with Premium 18 Gauge Wire. Above Ground Installation: Make installation easy with the secure staples for above ground installation. When you install your perimeter dog fence containment system, if you do not want to bury the wire, simply lay the wire on top of the ground, and use above ground staples to hold the wire down securely. It is Fast Easy. 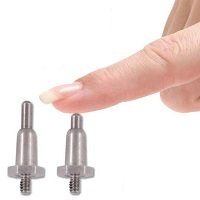 Perimeter's Advanced Technology offers Safe Stimulation Levels without compromising effectiveness. The wire you use is important. There is a real significant difference in longevity depending on the gauge of the wire used. 18 Gauge is much stronger than 20 gauge wire. There is also a significant difference if your wire is burial approved or not. Use only long lasting waterproof Polyurethane Coated wire with solid copper core.